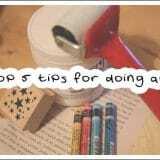 After my post the other day about having found motivation for doing art I thought I’d share these tips for getting down to business and doing it. Just in time for the weekend to put them into practice!! There are many reasons why we might not do something we want to do. I wrote the tips below with art in mind, but with some modification they can apply to pretty much anything. The important thing is to find something that works to enable you, to do what you want. Courses give you an external motivation to do art. They will give you more practical skills, which in turn will increase your confidence. There might be assignments or exercises which walk you through new techniques. This is a much safer way to start something, because there is already a blueprint for doing it: you don’t have to make it up all by yourself. It can also be motivating to be in a group of like-minded people and to share the results of the lessons and discuss them. By the end of the course you will have completed work you can look back on, feel proud of and see your own progress in. It will be a jumping off point to keep creating. Places you can find courses: local college (in London you can try City Lit or Morley College), art/craft shop or online. 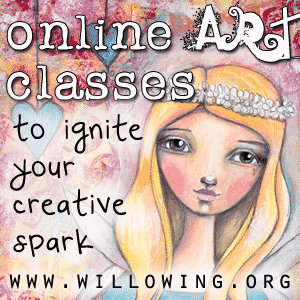 I’ve taken online courses from Tam @ Willowing, Suzi Blu and Adriana Almanza. Occupy your conscious mind to access your subconscious mind. I overthink what I do ALL.THE.TIME. My inner critic works overtime when I’m creating a painting. It’s hard to be free and create art from the heart when my mind is so present all the time. Something that can really help is to distract your thinking mind so you free your creative mind to do what it does best. I do this by watching TV while painting (or you could listen to an audiobook, music or have a conversation with someone etc). Following the storyline and dialogue distracts me just enough to let my hand move freely and helps me make organic choices rather than getting stuck on things like which colour to use. OK this might sound controversial but bear with me. Ask yourself what you like. Whose art makes you happy or evokes strong feelings in you? Create a folder on your computer (or a board on Pinterest) with art that makes your heart sing. Then copy the hell out of it. When you copy something another artist has done it is called a study. Obviously you don’t sell these works or pass them off as your own, but what you are doing is slipping on someone else’s shoes for a bit and in so doing it will help you develop. You are practicing, you are learning your own likes and dislikes and it will spark your own original creative side and eventually develop your own style. This world of ours has limitless choices and if you’re anything like me you’ll have an abundance of art supplies. I get almost as excited about buying new art supplies as I do about creating art. I find myself getting overwhelmed and scared when I think about all the supplies I have sitting around waiting to be used. So much potential but how best to use them, in what combination and what to use in this particular painting? So strip it right down, reduce! Don’t leave the choice open to all your art supplies available. Pick a limited number of supplies you will use. For example I would choose: 4 colours, 2 patterned papers, 1 stamp, gesso & brayer. 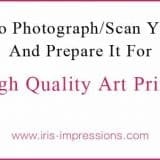 Then as you gain confidence creating paintings with limited options, you will find you automatically know what other supplies to reach for because you know what your painting needs. I give a bunch of limited supply suggestions in my art & inspiration guide, so go and download that if you haven’t already. 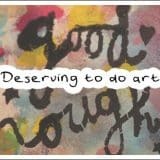 You can also check out some art journaling videos where I created journal spreads with limited supplies. I left this one to last as it’s the most important one and the crux of a lot of motivational problems. You have finally carved out some you-time to do art and you find yourself with a compelling urge to tidy your desk, or alphabetise your DVD collection, or clean the kitchen or [fill in the blank with your particular distraction]. You don’t actually need to do any of those things, and they certainly have nothing to do with creating art. This is your fear in the driving seat. Your fear is there to protect you, perhaps you’re trying to avoid disappointment or you don’t want to fail or you’re afraid of what other people will think. But for all its noble intentions, your fear holds you back and stops you doing what you actually set aside time to do. Tell yourself ‘thank you very much fear for trying to protect me, but I’d like to do some art now please, so piss off’. I admit I wrote that last line for comic effect, but the point I’m trying to make is that by acknowledging your fear you bring it into the open. If you see your avoidance behaviour for what it really is – fear – then you can try and move past it or work with it and turn it into creative opportunity. It is also helpful if you can try and identify exactly what is it you are afraid of. Personally I fear creating something ugly and ‘failing’ at being an artist (I hardly feel I’m even allowed to apply that word to myself, a topic for another blog post!). I fear other people’s criticism or lack of interest. I feel I have to be perfect and create perfect art. So for me it helps to acknowledge these issues. I try to give myself permission to practice, see what I’m working on as a process to getting better and try to create things for myself in the first instance. The fear is always there and sometimes it is louder than other times. It is likely that it will never go away, but you have to arm yourself with techniques that will help you do art despite your fear. Finally, just try and get on a roll. Start so you may continue. I find that ideas breed ideas and creativity breeds creativity. The more you are doing it, the more you will feel like doing it. 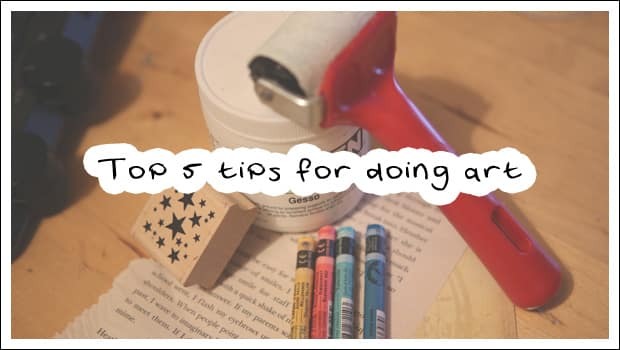 I would love it if you shared in the comments what your top tips are for doing art or any other activity you feel passionate about. Glad you liked the tips Sue! Ooh you’ve given me an idea to go to the book store and have a look at the art books! I might want to try something on composition and colour as I think I can benefit from learning more in that area. Thanks for letting me know that these things resonated with you and yay for BEING ARTISTS and supporting each other! Ohhh the book store!!! One of my favorite places to go!! Enjoy! And yes love the new community we have, it’s wonderful!! Interesting post … I always call my “Fear” laziness …. and yes buying the supplies I love and have way to much for my tiny creative space …. yes I am a mother of way to many …. but artist not sure I can go that far … all I know for sure is when I create … I zone out of this world and am most times surprised by the end results, and even more surprised that I like it … I have an issue though with needing other peoples approval and feel hurt when I don’t get it …. stupid I know but that is now my public dirty little secret … lol thanks for excepting me as a member of this group of wonderful people …. Maxine, for YEARS I called myself lazy!! I always just thought I was a lazy person (inherently – not helped by being called lazy a lot as a kid) but recently I have discovered it is all borne out of fear! I’m glad you like what you create, that is a good place to be. Needing approval resonates with me too. It’s great if we can rid ourselves from that wish, but I don’t think there’s anything strange about wanting to be seen or heard. Keep creating! Lovely. I thought about this question a bit, and I think I the biggest thing I do to get motivated is to just get started. Once I can get myself in the studio the bigger problem is how to stop. 🙂 But your list is so important. I can’t overemphasize how crucial it has been for me to take art courses. It has changed my life and I’m not exaggerating one bit when I say that. Terri, absolutely!!! That is such a big one for me too. I have to lock my art room because of the kids, and just having that tiniest increase of a barrier (yes.. having to unlock the door… lol) makes it easier to just walk past the room and go watch TV. I love seeing what you’re doing on the current art course you’re doing. Super inspiring stuff! We just moved in August and I ended up with a much bigger studio…much more of my supplies are on display…maybe that’s a problem? My computer broke down just after the move and it was 2 months before I finally got it replaced. I love to write and that may have been an issue for some time…computer i in my studio so looking at it broken down was hard? You gave me much to think about and I journal so may write about this soon, huh? I think sometimes little things can really shake you up and take you out of your groove. It’s funny how you say that most of your supplies are on display and that may be holding you back. On the one hand I’d love to have the room to have all my art supplies out (I often forget what I have when it’s all tidied away!) but on the other hand I also think I’d get overwhelmed. I think journaling is so powerful to come to more understanding about yourself! Hope it gives you clarity. Thanks! Just had a revelation & I feel rather foolish. I think it’s been there for awhile but I’ve been trying to ignore it. I believe I feel undeserving of this studio. Have had much negative self talk! Then doesn’t help that just Saturday I had a big mistake in a piece but maybe that’s why I’m seeing it being so recent & working on this now. But, it’s not my mistake, a dealer dried with a strange spot in it. So I am in midst discovery! Thank you! Amazing, so glad you came to that realisation!!!! I think for me a lot of blocks come up through feeling not good enough or not deserving. I’m definitely going to keep that in my mind and examine some places in my life that I’ve not been making progress recently and see if something like that is at play too. THANK YOU! PS I’ve been looking at your Etsy shop and your jewellery is just so pretty! Thanks…funny that you like the jewelry since I’ve done all of it in front of the TV which you say is where you like to do your art!! It seems that everything (and I should remember this) that I have issues with stems from rejection. I was adopted at 18 days old. I know I’ve felt undeserving ever since but have moved on and thrown away many things that cause me to feel rejected! I am a new person in so many ways so much of it is old talk, depression & hauntings that throws it back up in my face. Facing fears is so important! Getting back on that bicycle which is what I am actually pretty good at doing since I’ve had to do it so much! Sometimes you just have to kind of hold your breath and go for it! I’ve learned so much and now that I’m seeing someone else with similar issues I’m seeing to pertain it all to my art, too! Thanks! Dear Iris, hi! 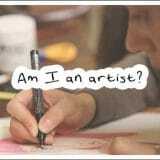 I’ve just read this post and some relevant ones like “Am I An Artist?” and I find myself so much in them! I have never thought before that fear is what makes me spend my “art-time” in totally irrelevant things, I thought I was just lazy, but you are so right! Yes, I’m afraid of making ugly creations, I’m even afraid of not knowing what to do when I’m sitting infront of my art journal…! Even now that, for my very first time, I got spotlighted for an art journal page, I’m afraid that the next one will be horrible! How crazy is that?!!! I wish there was an easy way to get rid of this feeling! At least now, after reading your post, I recognize that fear is behind my “lazyness” too, and I’ll try to convince myself to practice in order to get better! For me it is also EXACTLY as you describe Melfina! It is getting easier, but I STILL come up against these feelings very often. Also, what you say about ‘laziness’ really strikes a chord with me. Nearly ALL my life I internalised that ‘lazy’ label, until I finally realised that it was a cause & effect behaviour, not simply a character trait. Being aware of it is the first step to changing it!! Fabulous tips, Iris! I am loving courses right now for exactly the reasons you mentioned. And doing artist studies is also really helping me explore technicques and learn more about what works for me. I do most of my art on my couch with tv on. I always have something available on my coffee table that I can use that won’t make a mess. Usually watercolor pencils, watercolors with a water brush.